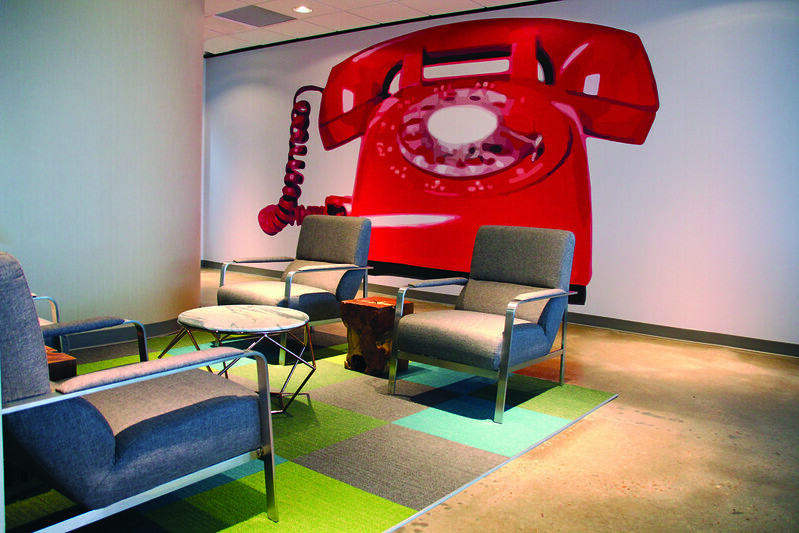 Over the last several years Boxer has placed more importance on incorporating unique and interesting artwork into office space across the portfolio and specifically in our Boxer Workstyle locations. 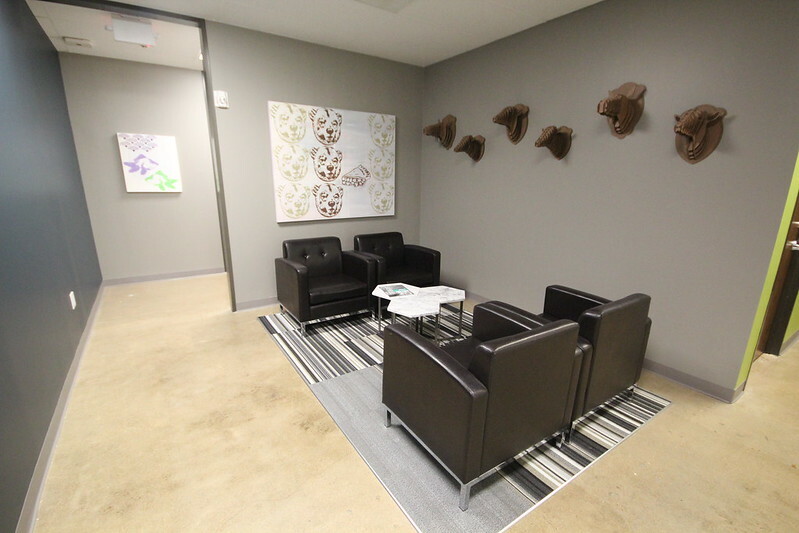 Finding that our customers often have comments or talk about our art, we thought this would be a good opportunity to share our Art Program and the thinking behind the art we incorporate into our spaces. Mission – The Boxer Art Program seeks to offer its customers high quality, dynamic and scalable art and design solutions at an affordable price point. Overview – The purpose is to leverage resources to identify needs for art and design elements, prescribe existing solutions, or create new ones where necessary. Philosophy – We seek to redefine how people view corporate art. We feel that art should not just be something that breaks up space on a wall. Art should be thought-provoking, meaningful, interesting, and part of the conversation. 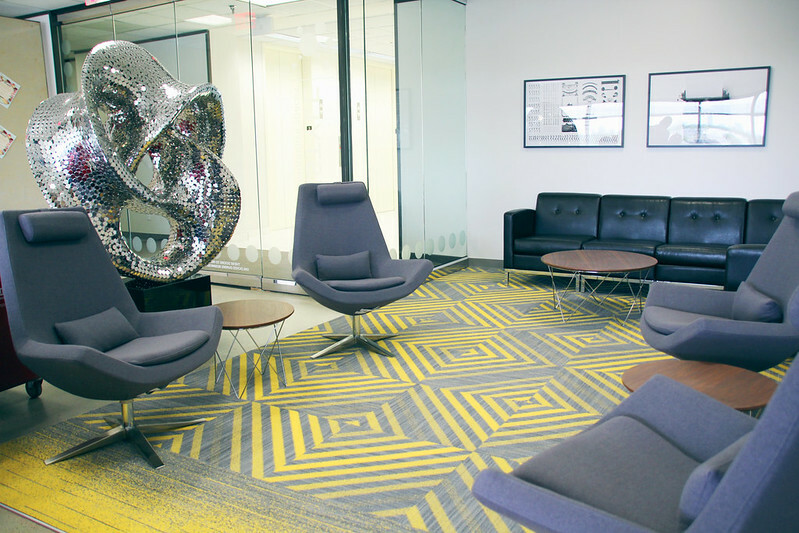 We believe in the transformative power of art, and wish to use it to make ordinary spaces extraordinary. Boxer Workstyle was created to provide an affordable, comprehensive workspace solution for our customers. 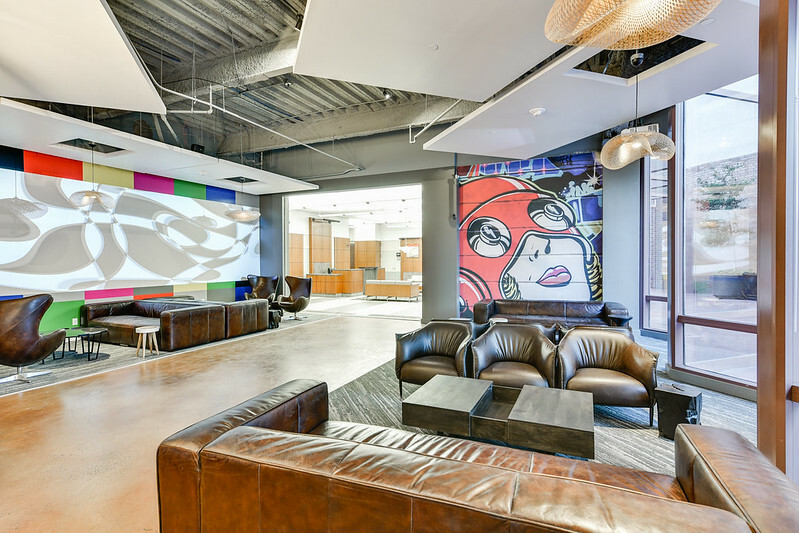 Space planning and interior design has always been a critical part of the Workstyle delivery process and was a major focus in our first iterations of Workstyle space. In fact, in many early iterations, this was the key differentiator that distinguished the Workstyle spaces from the more “vanilla” executive product we had been offering. As we became more and more efficient in our delivery, we quickly noticed we were lacking in one critical area; Artwork. Delivering efficient floor plans and curating functional and aesthetically pleasing furniture was a great starting point, but our spaces would often feel cold or sterile because we had overlooked the critical element of artwork. When we started exploring solutions, we quickly realized that we were going to be facing 2 major challenges; Scale and [Scope]. Having grown from a 20,000 square foot test space in 2013 to having delivered over 1 million square feet across 70+ locations by 2017, any solution we implement would have to work uniformly and at a massive scale. Using the Stemmons Enterprise Platform, we were able to tackle both problems simultaneously and incredibly efficiently. Having identified a need, the design team sprang into action generating content. Several initial art pilots were launched, and ultimately yielded 5 distinct art applications; Stencil Artwork, Hanging prints, Sculpture, Mural Applications, and Ad-hoc Art. We created both a catalog of available art, and an active inventory using Entities (our in-house database), which allows us to track, distribute, and reallocate the artwork across the entire portfolio in real time. Since launching the program just a few months ago, we have successfully curated 70 unique art experiences in all of our Workstyle spaces, consisting of over 1000 unique art pieces. As the program evolves, we expect to use the same platform to curate our building common areas, elevator lobbies, exteriors, resorts, restaurants, and retail properties. The Candy print StoryOur president, Justin Segal, discovers work on Reddit, reached out to the artist who we find is in high school. Mural ApplicationsFind a single item that is unique content frequently whimsical or reminiscent of the past which can be blown up to an oversized graphic that would be applied as an impact piece on one large wall within a space. Need to move art from the walls into space. Wanted to create some points of interest/discussion. 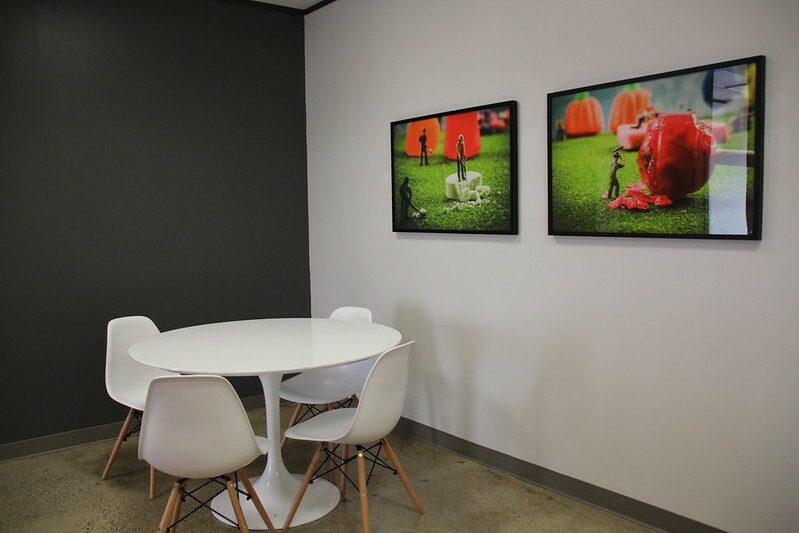 Art in the workplace serves many purposes from general design, to helping decrease stress, adding variation and being a thought provoking conversation piece. Based on several studies about art in the workplace, findings have shown that art has a positive impact on productivity as well as helping to get the creative juices flowing.